Carol Creighton Burnett (born April 26, 1933) is an American actress, comedian, singer, and writer, whose career spans six decades of television. 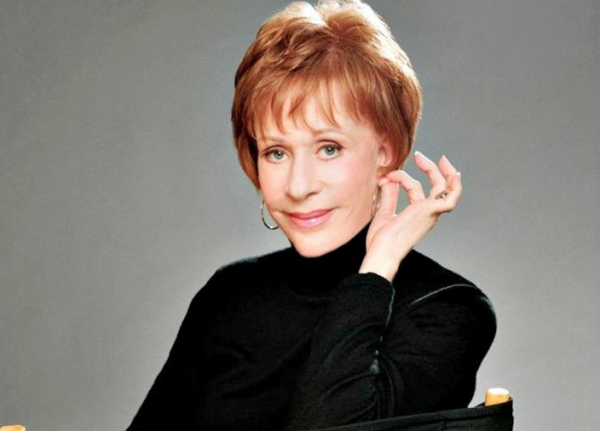 She is best known for her long-running TV variety show, The Carol Burnett Show, originally aired on CBS. She has achieved success on stage, television, and film in varying genres including dramatic and comedy roles. She also has appeared on various talk shows and as a panelist on game shows. Born in San Antonio, Texas, Burnett moved with her grandmother to Hollywood, where she attended Hollywood High School and eventually studied theater and musical comedy at UCLA. 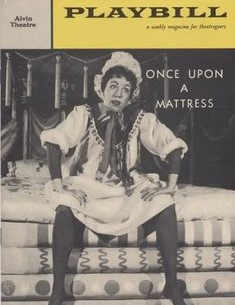 Later she performed in nightclubs in New York City and had a breakout success on Broadway in 1959 in Once Upon a Mattress, for which she received a Tony Award nomination. She soon made her television debut, regularly appearing on The Garry Moore Show for the next three years, and won her first Emmy Award in 1962. In 1963, she was the star of the Dallas State Fair Musicals presentation of “Calamity Jane.” Burnett moved to Los Angeles and began an 11-year run as star of The Carol Burnett Show on CBS television from 1967 to 1978. 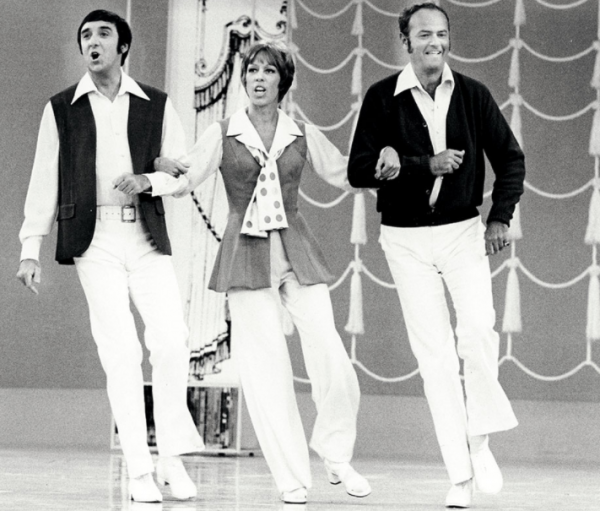 With its vaudeville roots, The Carol Burnett Show was a variety show that combined comedy sketches with song and dance. The comedy sketches included film parodies and character pieces. Burnett created many memorable characters during the show’s run, and both she and the show won numerous Emmy and Golden Globe Awards. During and after her variety show, Burnett appeared in many television and film projects. Her film roles include Pete ‘n’ Tillie (1972), The Front Page (1974), The Four Seasons (1981), Annie (1982), Noises Off (1992), and Horton Hears a Who! (2008). On television, she has appeared in other sketch shows; in dramatic roles in 6 Rms Riv Vu (1974) and Friendly Fire (1979); in various well-regarded guest roles, such as in Mad About You, for which she won an Emmy Award; and in specials with Julie Andrews, Dolly Parton, Beverly Sills, and others. She returned to the Broadway stage in 1995 in Moon Over Buffalo, for which she was again nominated for a Tony. For a while, she worked as an usherette at what is now the Hollywood Pacific Theatre (the forecourt of which is now the location of her star on the Hollywood Walk of Fame. After graduating from Hollywood High School in 1951, Burnett received an anonymous envelope containing $50 for one year’s tuition at UCLA, where she initially planned on studying journalism. During her first year of college, Burnett switched her focus to theater arts and English, with the goal of becoming a playwright. She found she had to take an acting course to enter the playwright program — “I wasn’t really ready to do the acting thing, but I had no choice,” she recalled. She followed a sudden impulse in her first performance. During her senior year at UCLA, a professor invited Burnett and some other students to perform at a party in place of their class final that had been canceled (which required a performance in front of an audience). Afterward, a man and his wife approached Burnett while Carol was stuffing cookies in her purse to take home to her grandmother. Instead of reprimanding her, the man complimented Burnett’s performance and asked about her future plans. When he learned she wished to travel to New York in order to try her luck in musical comedy but couldn’t afford the trip, right then and there he offered Carol and her boyfriend Don Saroyan each a $1,000 interest-free loan. His conditions were simply that the loans were to be repaid within five years, his name was never to be revealed, and if she achieved success, she would help other aspiring talents to pursue their artistic dreams. Burnett took him up on his offer; she and Saroyan left college and moved to New York to pursue acting careers. That same year, Burnett’s father died of causes related to his alcoholism. 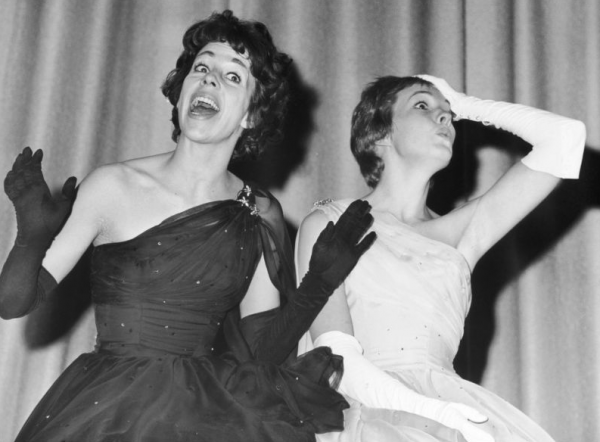 After spending her first year in New York working as a hat-check girl and failing to land acting jobs, Burnett along with other girls living at the Rehearsal Club, a boarding house for women seriously pursuing an acting career, put on The Rehearsal Club Revue on March 3, 1955. They mailed invitations to agents, who showed up along with stars like Celeste Holm and Marlene Dietrich, and this opened doors for several of the girls. Burnett was cast in a minor role on The Paul Winchell and Jerry Mahoney Show in 1955. She played the girlfriend of a ventriloquist’s dummy on the popular children’s program. This role led to her starring role opposite Buddy Hackett in the short-lived sitcom Stanley from 1956 to 1957. 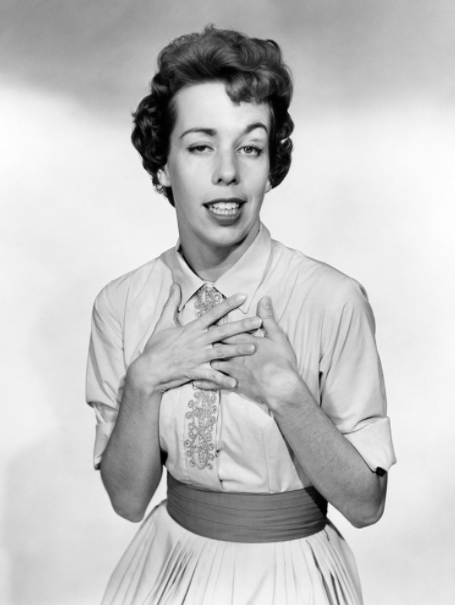 In the 1950s, a young Carol Burnett was working as an usherette when the theater was showing Alfred Hitchcock‘s Strangers on a Train (1951). Having already seen the film and loving it, she advised two patrons arriving during the last ten minutes of a showing to wait until the beginning of the next showing to avoid spoiling the ending for them. The manager observed Burnett, let the couple in, then callously fired her, stripping the epaulettes from her uniform. Years later in the 1970s after achieving TV stardom, when the Hollywood Chamber of Commerce offered her a star on the Hollywood Walk of Fame, they asked her where she wanted it. She replied “Right in front of where the old Warner Brothers Theater was, at Hollywood and Wilcox”, which is where it was placed, at 6439 Hollywood Blvd. Burnett also worked as a regular on one of television’s earliest game shows, Pantomime Quiz, during this time. 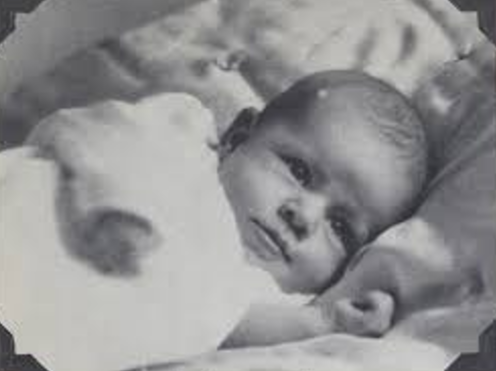 In 1957, just as Burnett was achieving her first small successes, her mother died. In 1964, Burnett starred in the Broadway musical Fade Out – Fade In but was forced to withdraw after sustaining a neck injury in a taxi accident. She returned to the show later but withdrew again to participate in a variety show, The Entertainers, opposite Caterina Valente and Bob Newhart. The producers of Fade Out – Fade In sued the actress for breach of contract after her absences from the popular show caused its failure, but the suit was later dropped. The Entertainers ran for only one season. Around the same time, Burnett became good friends with Jim Nabors, who was enjoying great success with his series Gomer Pyle, U.S.M.C. As a result of their close friendship, Burnett played a recurring role on Nabors’ show as a tough corporal, later gunnery sergeant. Nabors would later be her first guest every season on her variety show. In 1966, Lucille Ball became a friend and mentor to Burnett. After having guested on Burnett’s highly successful CBS-TV special Carol + 2 and having the younger performer reciprocate by appearing on The Lucy Show, Ball reportedly offered Burnett her own sitcom called “Here’s Agnes,” to be produced by Desilu Productions. Burnett declined the offer, not wanting to commit herself to a weekly series. In 1967, CBS offered to put Burnett in a weekly comedy series called Here’s Agnes. However, Burnett had a stipulation in her ten-year contract with CBS that said she had five years from the date The Garry Moore Show ended to “push the button” on hosting thirty one-hour episodes of a music/comedy variety show. As a result, the hour-long Carol Burnett Show was born and debuted in September 1967, garnering 23 Emmy Awards and winning or being nominated for multiple Emmy and Golden Globes every season it was on the air. Its ensemble cast included Tim Conway (who was a guest player until the ninth season), Harvey Korman, Lyle Waggoner, and the teenaged Vicki Lawrence, whom Burnett herself discovered and mentored. The network initially did not want her to do a variety show because they believed only men could be successful at variety, but Burnett’s contract required that they give her one season of whatever kind of show she wanted to make. She chose to carry on the tradition of past variety show successes. A true variety show, The Carol Burnett Show struck a chord with viewers. Among other things, it parodied films (“Went With the Wind” for Gone With the Wind), television (“As the Stomach Turns” for the soap opera As the World Turns) and commercials. Musical numbers were also a frequent feature. Burnett and her team struck gold with the original sketch “The Family”, which eventually was spun off into its own television show called Mama’s Family, starring Vicki Lawrence. Burnett opened most shows with an impromptu question-and-answer session with the audience, lasting a few minutes, during which she often demonstrated her ability to humorously ad lib. On numerous occasions, she obliged when asked to perform her trademark Tarzan yell. The Carol Burnett Show ceased production in 1978, Four post-script episodes were produced and aired on ABC during the summer of 1979 under the title, Carol Burnett & Company basically using the same format and, with the exception of Harvey Korman and Lyle Waggoner, the same supporting cast. Beginning in 1977, the comedy sketches of Burnett’s series were edited into half-hour episodes entitled Carol Burnett and Friends, which, for many years, proved to be extremely popular in syndication. In January 2015, Carol Burnett and Friends began airing on MeTV. Burnett starred in a few films while her variety show was running, including Pete ‘n’ Tillie (1972). She was nominated for an Emmy in 1974 for her role in the drama 6 Rms Riv Vu. After her show ended, Burnett assumed a number of roles that departed from comedy. She appeared in several dramatic roles, most notably in the television movie Friendly Fire. She appeared as Beatrice O’Reilly in the film Life of The Party: The Story of Beatrice, a story about a woman fighting her alcoholism. Her other film work includes The Four Seasons (1981), Annie (1982), and Noises Off (1992). 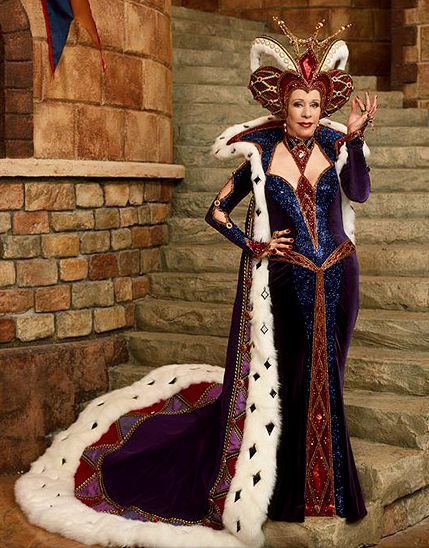 She also returned in 2005 to star in a different role as Queen Aggravain in the movie version of Once Upon a Mattress. She guest-starred in season two of Desperate Housewives as Bree’s stepmother, Elanor Mason. Burnett was the first celebrity to appear on the children’s series Sesame Street, on that series’ first episode on November 10, 1969. She also made occasional returns to the stage in the 1970s and 1980s. 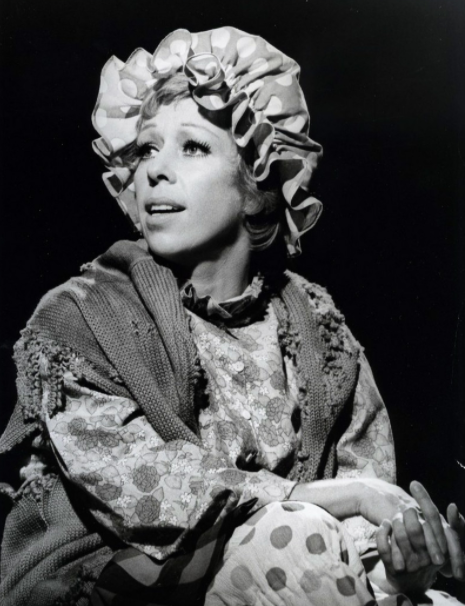 In 1974, she appeared at The Muny Theater in St. Louis, Missouri, in I Do! I Do! with Rock Hudson, and eleven years later, she took the supporting role of Carlotta Campion in the 1985 concert performance of Stephen Sondheim‘s Follies. Burnett made frequent appearances as a panelist on the game show Password, an association she maintained until the early 1980s (in fact, Mark Goodson awarded her his Silver Password All-Stars Award for best celebrity player; she’s also credited with coming up with the title Password Plus, when it was originally planned to be titled Password ’79). In the 1980s and 1990s, Burnett made several attempts at starting a new variety program. She also appeared briefly on The Carol Burnett Show’s “The Family” sketches spinoff, Mama’s Family, as her stormy character, Eunice Higgins. She played the matriarch in the cult comedy miniseries Fresno, which parodied the primetime soap opera Falcon Crest. She returned to TV in the mid-1990s as a supporting character on the sitcom Mad About You, playing Theresa Stemple, the mother of main character Jamie Buchman (Helen Hunt), for which she won another Emmy Award. In 1995, after an absence of 30 years, she was back on Broadway in Moon Over Buffalo, for which she was nominated for a Tony. Four years later, she appeared in the Broadway revue Putting It Together. Burnett has long been a fan of the soap opera All My Children. She realized a dream when Agnes Nixon created the role of Verla Grubbs for her in 1976. Burnett played the long-lost daughter of Langley Wallingford (Louis Edmonds), causing trouble for her stepmother Phoebe Tyler-Wallingford (Ruth Warrick). She made occasional appearances on the soap opera in each decade thereafter. She hosted a 25th-anniversary special about the show in 1995 and made a brief cameo appearance as Verla Grubbs on the January 5, 2005, episode which celebrated the show’s 35th anniversary. Burnett reprised her role as Grubbs in September 2011 as part of the series’ finale. In 2008, Burnett had her second role as an animated character in the film Horton Hears a Who!. Her first was in The Trumpet of the Swan in 2001. In 2009, she made a guest appearance on the Law & Order: Special Victims Unit, for which she was nominated for the Emmy Award for Outstanding Guest Actress in a Drama Series. In November 2010, she guest-starred on an episode of Glee as the mother of cheerleading coach Sue Sylvester. In 2012 she had another voice role in The Secret World of Arrietty. She has made a recurring role, traditionally on Thanksgiving-themed episodes, of Hawaii Five-0 as Steve McGarrett’s Aunt Debbie since 2013, until Aunt Deb died from cancer in the January 15, 2016 episode. Carrie Hamilton, born December 5, 1963 – died January 20, 2002 (at age 38) of lung and brain cancer. She was an actress and singer. Erin Hamilton, born August 14, 1968. She is a singer. Their marriage ended in divorce in 1984, and Hamilton died of cancer in 1991. On November 24, 2001, Burnett married Brian Miller, principal drummer in and contractor of the Hollywood Bowl Orchestra, who is 23 years her junior. Burnett is good friends with Julie Andrews, Betty White, Jim Nabors, was close with the late Beverly Sills and Lucille Ball, and is the acting mentor to her protégée Vicki Lawrence. They share a close friendship, as noted by Lawrence in a testimonial speech during her appearance at Burnett’s 2013 Mark Twain Award in Washington, D.C. (recorded and broadcast on PBS Television). 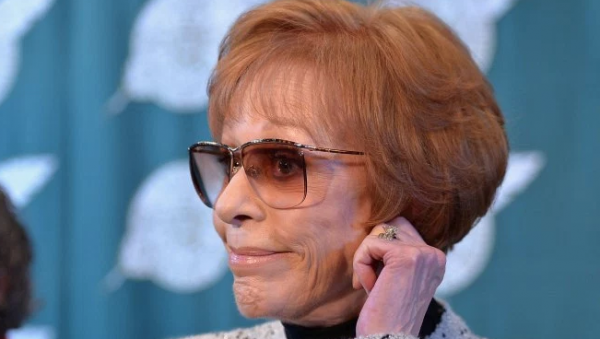 In 1981, actress Carol Burnett won a judgment against the Enquirer after it claimed she had been seen drunk in public at a restaurant with Henry Kissinger in attendance. The fact that both of her parents suffered from alcoholism made this a particularly sensitive issue to Burnett. 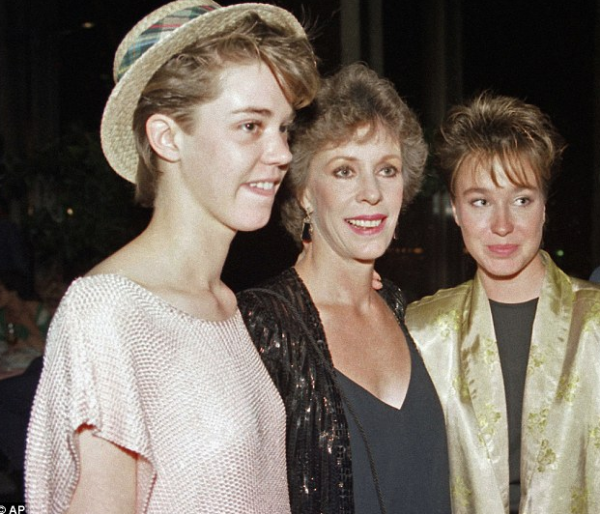 Burnett and her oldest daughter, Carrie Hamilton, co-wrote Hollywood Arms (2002), a play based on Burnett’s bestselling memoir, One More Time (1986). Sara Niemietz and Donna Lynne Champlin shared the role of Helen (the character based on Burnett); Michele Pawk played Louise, Helen’s mother, and Linda Lavin played Helen’s grandmother. For her performance, Pawk received the 2003 Tony Award for Best Performance by a Featured Actress in a Play. In 2010, Burnett wrote the memoir This Time Together. In 2016, Burnett wrote the behind-the-scenes memoir In Such Good Company.